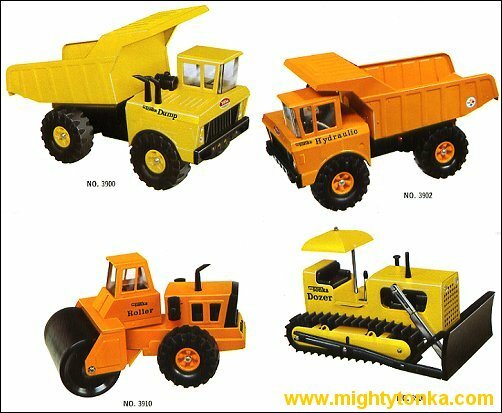 Continuing on in 1971 were model #3900 Mighty Dump, model #3906 Mighty Dozer, model #3915 Mighty Wrecker, model #3920 Mighty Loader, model #3930 Mighty Shovel, model #3935 Mighty Scraper, model #3940 Mighty Crane and model #3990 Mighty Car Carrier. 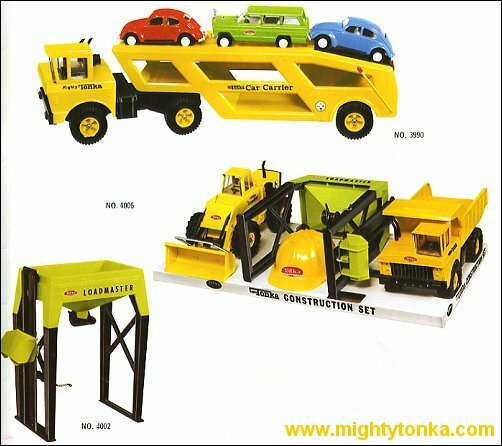 New models added were #3902 Mighty Hydraulic Dump, #3910 Mighty Roller, #3938 Mighty Bottom Dump, #3950 Mighty Cement Mixer, #4002 Mighty Loadmaster and #4006 Mighty Construction Set. 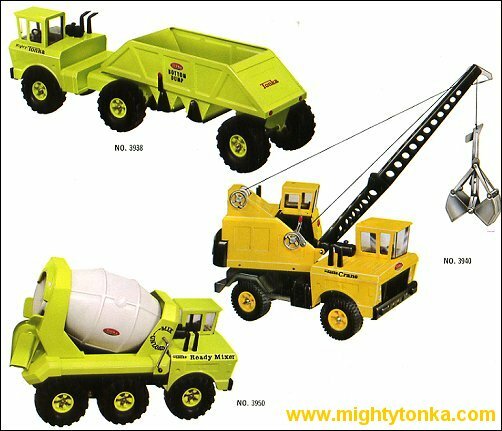 Removed was model #4000 Mighty Construction Set. OBSERVATION: Saddle gas tanks were removed from the #3900 Mighty Dump. 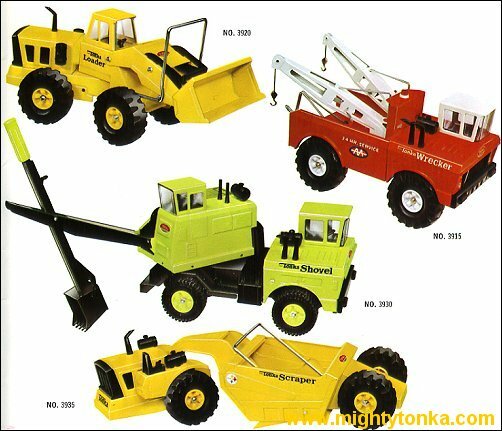 The 1971 Tonka dealer catalog still features the dump with the saddle tanks. Wrong! OBSERVATION: #3915 Mighty Wrecker has new colors changing from white with red booms to orange with white booms.